Winter is upon us, and when temperatures drop your gas bill will be more expensive if your house is not energy-efficient. If you have not had an energy audit yet, now might be the perfect time since it can save you money in the long run. 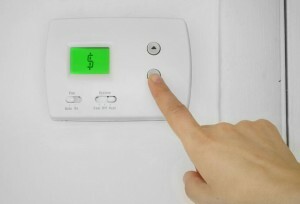 There are a few ways that you can stay warm during the winter without having your wallet suffer. These tips should never replace an energy audit, but if you need a temporary fix they might be able to help. Use a heavy-duty, clear plastic sheet on a frame or tape clear plastic film to the inside of your window frames during the cold winter months. Install tight-fitting, insulating drapes or shades on windows that feel drafty after weatherizing. For more information on conducting an energy audit or for other ways you can save on your energy bill each month, contact USI online to find a branch near you and get a free quote. USI believes in excellence in every step of the process and ensures timely completion and quality of service, time after time.